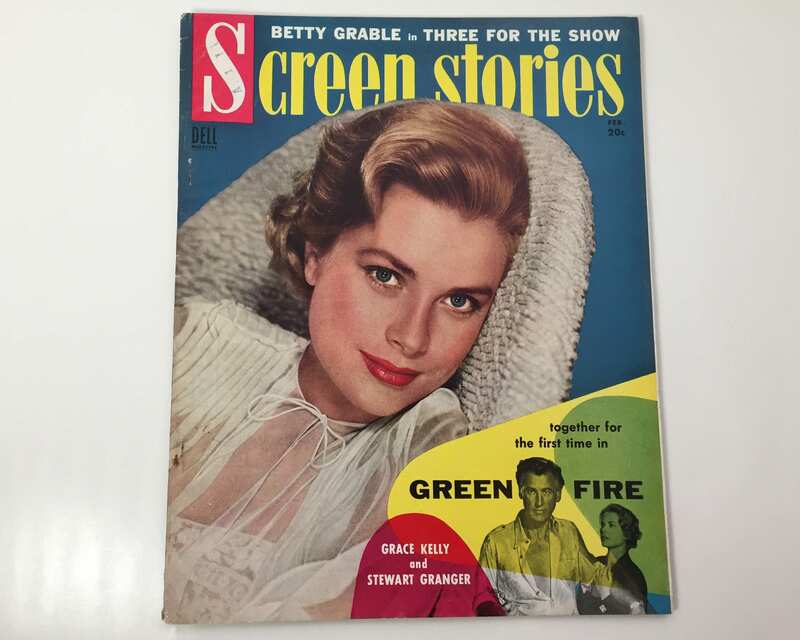 Grace Kelly illuminates the cover of this February 1955 issue of Screen Stories Magazine with her cool beauty. 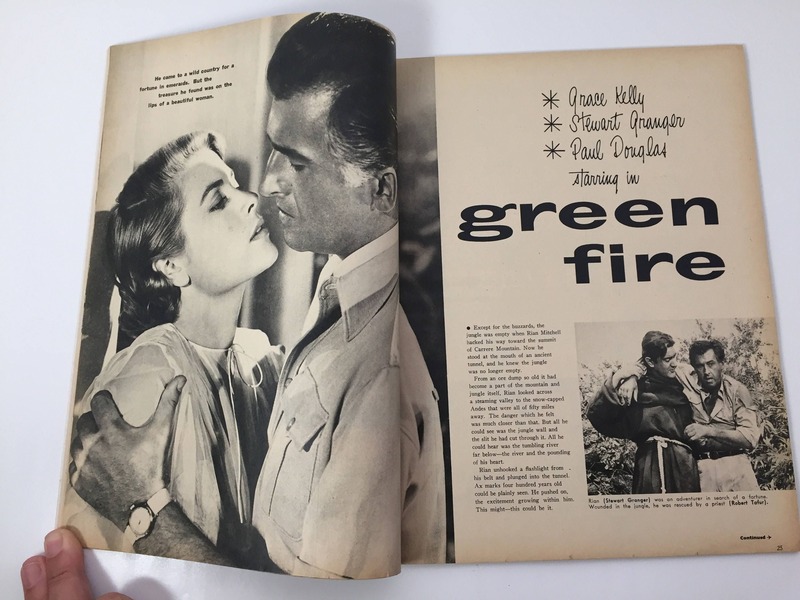 Inside this issue features her movie "Green Fire" with Stewart Granger, as well as other movies like "The Silver Chalice" with Paul Newman, and "Untamed" starring Tyrone Power and Susan Hayward. 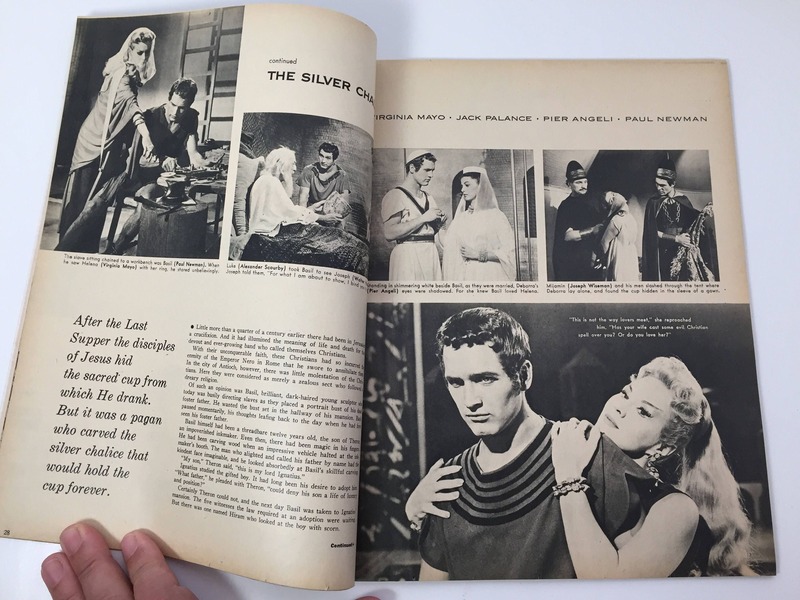 You'll also find Jane Russell and many other great movie stars of classic Hollywood inside. 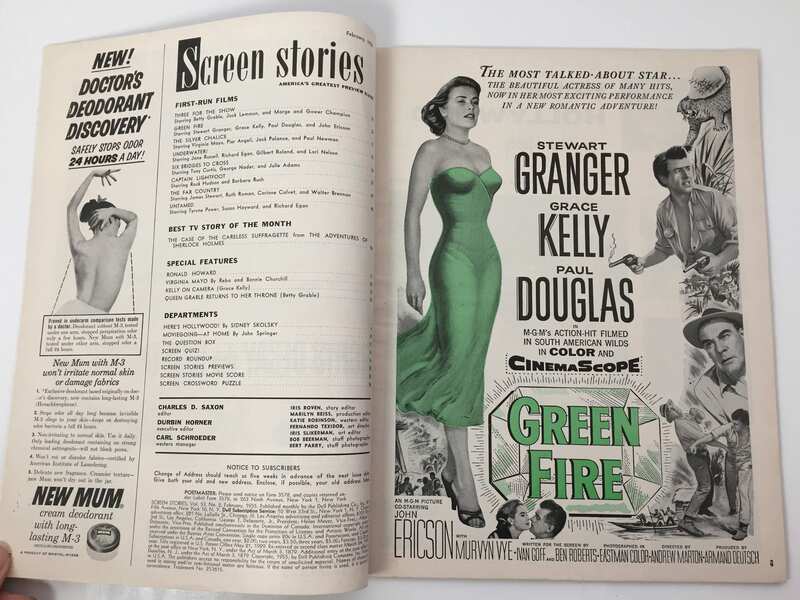 There are some great ads, some in color, and plenty of Hollywood memories in this vintage movie magazine. 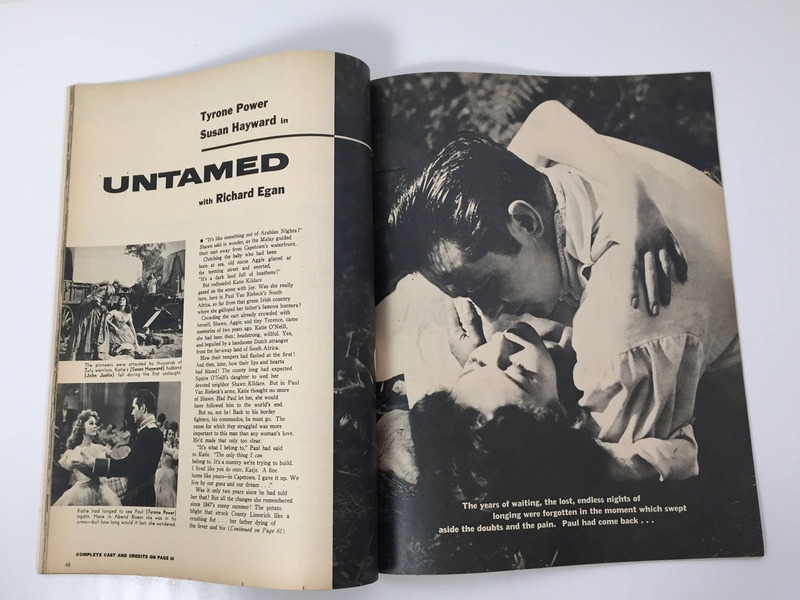 Screen Stories, formerly Screen Romances, focused on short stories based on movies, as well as celebrity features and photos. CONDITION: Excellent, almost like new, just very slight wear to the spine. Extremely light tanning on pages.